Grand larceny is a serious crime that involves the theft of property. In New York state, grand larceny is a felony, but it may be classified at varying levels of severity depending on the value of the stolen items. The felony class, in turn, impacts the length of the statute of limitations for the crime. A statute of limitations is the amount of time after an incident occurs that a court case may be initiated. Depending on the type of crime, the statute of limitations may vary. In New York state, the statute of limitations on theft, or larceny, is either two or five years, depending on the circumstances and the nature of the crime. When a crime of this type is classified as a misdemeanor, the statute of limitations in New York state is two years. When, however, it is deemed a felony, the statute of limitations is five years. The state defines the statute of limitations on murder to be indefinite. Murder in the first degree, therefore, has no time limit from the time of its occurrence to when a case can be initiated. In New York, the statute of limitations on assault is one year from the time of the act if it’s a civil issue. If it’s a criminal incident, however, the statute of limitations can be two or five years, again depending on whether it’s deemed a misdemeanor or a felony. In New York state, grand larceny classification varies depending on the amount of money or value of property taken. As such, grand larceny can be classified anywhere from an E Felony to a B Felony. In most instances of grand larceny, therefore, the statute of limitations would be five years. However, if the value of the property taken is less than $1,000, the crime is classified as petit larceny and is a misdemeanor. In this case, the statute of limitations is two years. What Is Theft in the 3rd Degree? What is the Difference Between Theft and Grand Larceny? The terms larceny and theft can be used interchangeably when it comes to everyday discourse. From a legal perspective, however, petit larceny and grand larceny mean different things. Either one could be considered theft, but theft is not a legal term. In New York, the act of stealing is classified as petit larceny. Next in terms of severity is grand larceny in the fourth degree. If the value of the property stolen exceeds $1,000, consists of a credit or debit card, is taken from someone else’s person or if its value exceeds $100 and is a motor vehicle, it is classified as grand larceny in the fourth degree. This is a Class E felony. In New York, grand larceny in the third degree requires that the property value stolen exceed $3,000. This is a class D felony. Grand larceny in the second degree requires that the property value exceed $50,000 and is a class C felony. Finally, grand larceny in the first degree requires that the stolen property value exceed $1 million. This is a class B felony and is punishable by up to 25 years in prison. For any of these grand larceny felonies, the statute of limitations is five years. 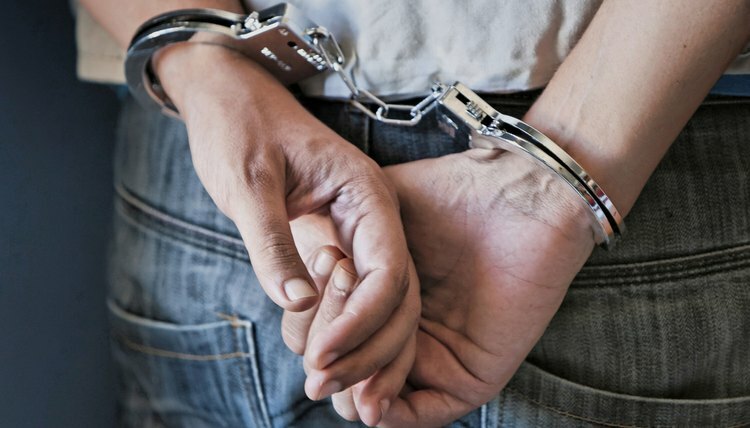 Avvo: Is There a Statute of Limitations to Prosecute for Grand Larceny? Margarian Law: What is the Difference Between Grand Larceny and Petty Theft? Smyth, Danielle. "Statute of Limitations for Grand Larceny in New York State." , https://legalbeagle.com/8635194-statute-grand-larceny-new-york.html. 08 August 2018. What Is the Difference Between Larceny & Theft?